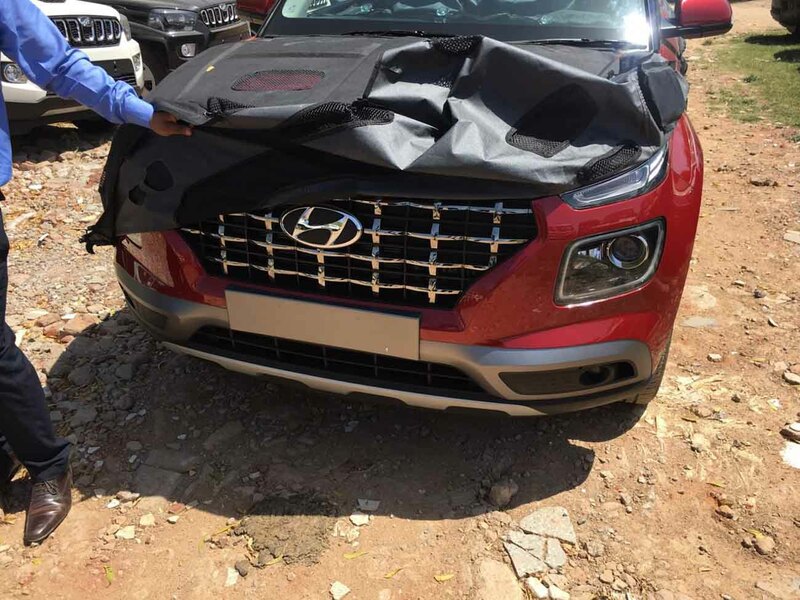 Hyundai Motor India Limited (HMIL) is gearing up to uncover its smallest SUV in the global and domestic portfolio on April 17 at the New York International Auto Show. Ahead of it, the teaser campaigns are well underway. The name of the SUV was revealed as Venue less than a couple of weeks ago and it did take many by surprise. The Hyundai Venue is a sub-four-metre SUV that will compete against Maruti Suzuki Vitara Brezza, Nexon, Ford EcoSport and Mahindra XUV300. It is part of Hyundai’s plans to further increase volume locally and reports suggest that around 7,000 to 8,000 monthly unit sales is targeted in its first year. The Venue has been a long time coming and it is loosely connected with the Carlino concept showcased at the 2016 Auto Expo. It will be launched in overseas markets like South Korea, Australia and in the United States along the course of this year. 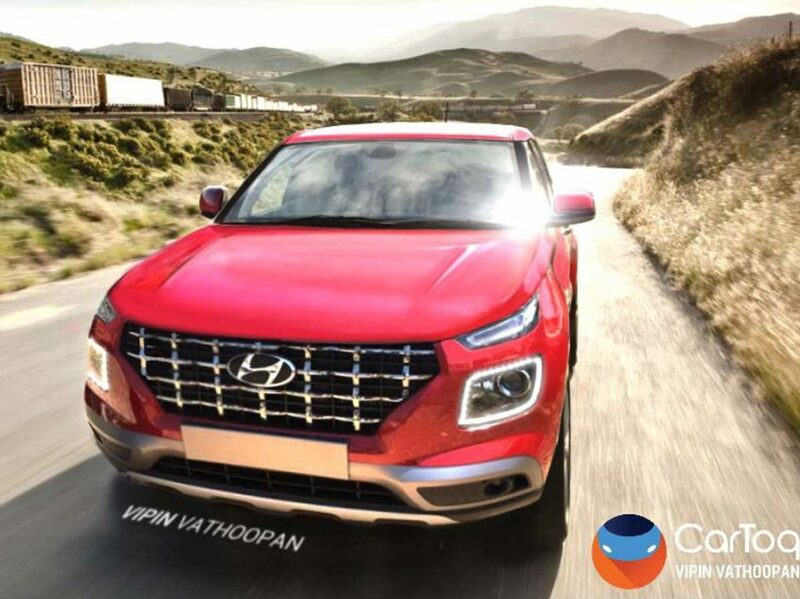 The rendering included here gives you a clear idea of how the SUV’s exterior will look like. It boasts an upright front fascia with a prominent chrome-treated grille and sticking by the latest global design trend the Venue will have turn signals sitting at the top and the LED Daytime Running Lights positioned in the middle surrounding the projector headlamps. It will offer sunroof in the top-spec trims and be packed with plenty of standard safety features. The side profile gives a definitive resemblance with the Creta and it appears to run on 17-inch machined dual-tone alloy wheels. Other important exterior features are roof rails, shark fin antenna, horizontal LED taillamps, busy bumper up front and rear, etc. The interior will boast first-in-class connectivity features. The Blue Link system enables the use of an eSIM card and cloud-based services with 33 features. 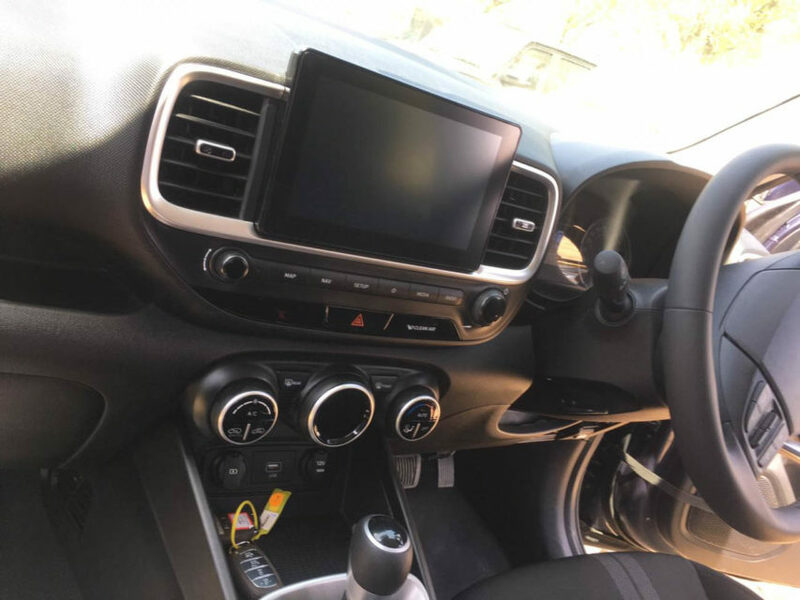 Equipment like touchscreen infotainment system with Apple CarPlay and Android Auto connectivity, reverse parking camera with sensors, multi-functional steering wheel with mounted controls, six or seven airbags in the high-spec variants, and push-button engine start/stop are more likely to be provided.